Leightons’ team of audiologists recently travelled to the international headquarters of Oticon in Copenhagen to discover how they develop new technologies and to experience their latest hearing aid, Opn. Opn is the world’s first internet-connected hearing aid and is already causing big waves in the field of hearing care. It has opened up a whole new realm of possibilities for hearing aids and revolutionised how they integrate into our daily lives. Imagine a hearing aid that could make you coffee, a hearing aid that tells you when someone is at your front door, a hearing aid that can switch lights on and off – this is all possible with Opn! Oticon have partnered with a web service called If This Then That (IFTTT). This enables you to combine the use of different technologies all connected through the internet, widely known as the Internet of Things. You can create your own commands, or “recipes” as IFTTT calls them. For instance, you can set up a command for: if the forecast is for rain tomorrow, then send a text message to my phone to ensure I leave the house with an umbrella. The team at Oticon were so amazed by IFTTT that they built a flat within their headquarters to test existing ‘smart’ online devices to fully understand its capabilities. This has helped Opn along the road to becoming the world’s first internet-connected hearing aid, revolutionising how they can integrate into our daily lives. However, Oticon Opn is much more than just an internet-connected hearing aid. Its processing chip is 50 times faster than its predecessor. This allows the computer at the heart of the hearing aid to carry out many more functions in a shorter space of time. Ultimately, this has enabled Opn to revolutionise how the hearing aid deals with background noise. It scans an environment 100 times per second and individually selects which sounds should be reduced and which should be enhanced. Studies have shown this leads to 30% more speech understanding in background noise, 20% less effort required to follow conversations and a remarkable 20% increase in memory! Oticon Opn is a true trailblazer and an option which has been long awaited in the high-end hearing device market. 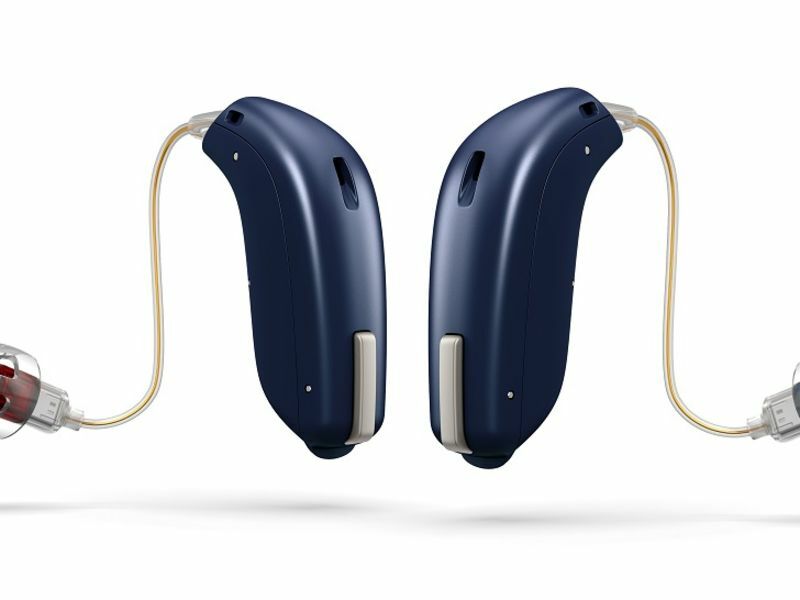 Aside from easy direct connectivity with smartphones and the Internet of Things, this hearing aid is a remarkable leap forwards in terms of performance, especially in the most challenging noise situations. Oticon Opn is only available from independent hearing care practitioners. Leightons Opticians & Hearing Care is one of the first in the UK to offer this revolutionary new hearing aid, so why not pop in to experience it for yourself? You can book a free hearing assessment online, including a free hearing aid demonstration, or call us on 0800 40 20 20.